Ari’s New Book Unearths Insights about the Powerful Impact of Beliefs in Business! Part 4 in the Guide to Good Leading series shares 11 more “Secrets” from of one of the country’s most progressive companies! Thirty-four years ago Paul Saginaw and Ari Weinzweig opened Zingerman’s Delicatessen with a staff of two and a $20,000 bank loan. 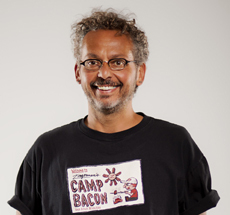 Today Zingerman’s—a place Inc. magazine called “The Coolest Small Company in America”— is a creative collaborative of ten different businesses in the Ann Arbor area, employing over 700 people and doing sales of about $60,000,000 a year. 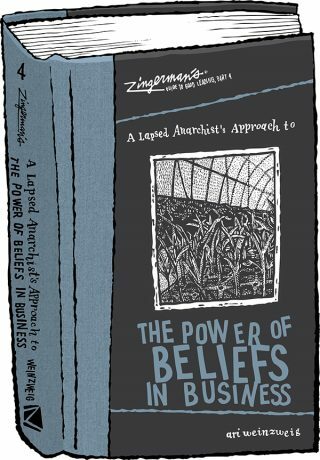 With the release of Ari’s new book, Zingerman’s Guide to Good Leading, Part 4: A Lapsed Anarchist’s Approach to the Power of Beliefs in Business, more of the secrets behind the business’ success are now available to the world. Parts 1, 2, and 3 have gained wide acclaim from progressive business leaders—and readers—over the last seven years. Part 1, A Lapsed Anarchist’s Approach to Building a Great Business, explores Zingerman’s unique approaches to organizational visioning, values, mission, systems and culture. Part 2, Being a Better Leader, dives deep into subjects like Servant Leadership, Stewardship, and energy management, as well as an in-depth look at Ari’s beliefs about anarchism’s application in 21st century progressive business. Part 3, Managing Ourselves, examines Ari’s experiences with mindfulness, self-management, personal visioning, time management, free choice, creativity and more. All have become essential reading for leaders looking to leave behind the old mainstream business models and create progressive, forward thinking organizations. 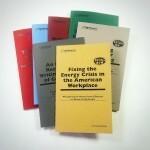 As with the other three volumes in the series, Part 4 is framed around individual essays, each labeled (with Ari’s usual tongue-in-cheek humor) as “Secrets.” Parts 1, 2 and 3 in the Guide to Good Leading series (see zingermanspress.com) contain Secrets #1 through #39. The new volume, Part 4, showcases Secrets #40-49. The first four of those Secrets take a deep dive into Ari’s new learnings about beliefs—how they underlie every decision we make; how our beliefs create the realities around us (even the problems we profess not to like); why we will only get to organizational greatness when we root our work and our worldview in positive beliefs; and, as with all the books in the series, a practical, and well-practiced recipe, in this case, for changing our beliefs. Part 4 also includes essays that detail Ari’s approaches on how to build hope and the spirit of generosity in the workplace. There’s more on Ari’s expanding and innovative beliefs about anarchism in business. For those who like to learn the practical application of the theory, the book includes three Secrets on particularly effective ways in which Zingerman’s builds positive beliefs, hope, and generosity into its organizational fabric—its new staff orientation class, its engaging approach to One + One work, and Zingerman’s unique visioning process. 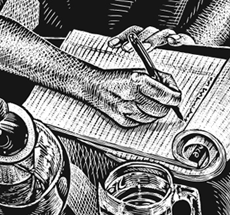 As with all of Ari’s written work on leadership, the book brings together the voices of progressive business writers, anarchists, philosophers, poets, painters, and a healthy peppering of Zingerman’s partners, staff, customers, and suppliers. Written in his distinctive, conversational style, with plenty of good quotes and quips, the material in the book will challenge the beliefs of any business thinker and progressive leader. As Ari writes in the Introduction, “as you read and reflect on what follows, it’s likely that some of your beliefs will be challenged—even changed.” And from that, your actions, and hence, your life, as well. Part 4 of the series, along with all of Ari’s books, is available on line at ZingTrain.com and ZingermansPress.com as well on the counters at Zingerman’s Delicatessen, Roadhouse, Bakehouse, Creamery and Coffee Company. 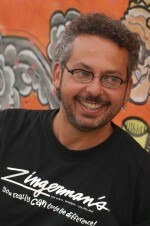 For more on this, or any of Ari’s books, see www.zingtrain.com. Or contact Jenny Tubbs at 734-786-1625.